Sampling Gordon Ramsay's Favorite Beer at Innis and Gunn Beer Kitchen, Edinburgh - WattWhereHow? Innis and Gunn looks, sounds and tastes like a beer that has been around for a hundred years, but in all truth, it is only coming up to its fifteenth birthday. We first discovered Innis and Gunn at the Gordon Ramsay Pub at Atlantic City. He had it recommended in the menu as his ideal beverage partner for the ridiculously sumptuous treacle wings. Upon returning to New York, we discovered it in bottles at one of our local bars and it became a favorite so when heading to Scotland, we discovered it had its home in Edinburgh. 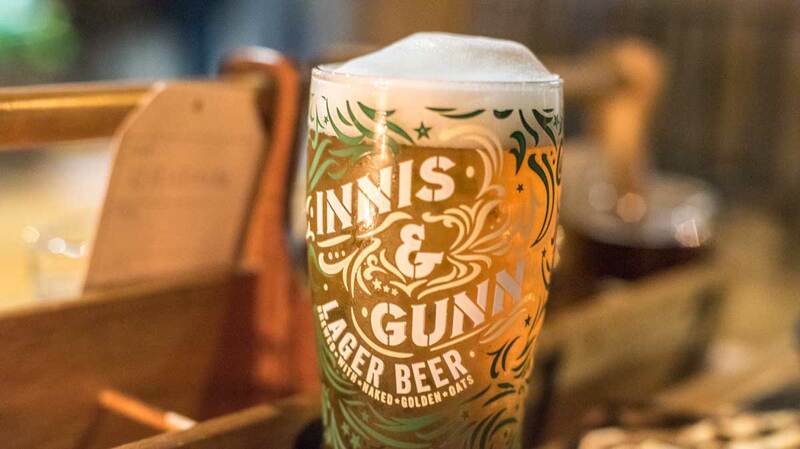 Innis and Gunn’s story starts back in 2003. The founders were actually friends with Chef Ramsay and involved in the food and beverage scene. 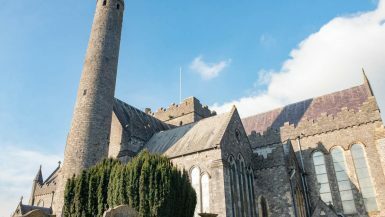 Allegedly, the recipe was accidentally discovered when these craft beer aficionados brewed a lager in a whisky barrel for William Grant’s Ale Cask Reserve Whisky (whisky barrels are generally aged oak and most often have previously been used to also ferment bourbon). The flavor combination, with the addition of beer, draws out sweet whisky notes in the beers – something the founders and their friends instantly fell in love with. So did we. It was love at first drop. Fast forward to Team Watt walking Edinburgh, we made the initial mistake of searching for Innis and Gunn on Google Maps. The first location that comes up is actually the corporate headquarters on Randolph Terrace. No dice. There’s no beer, dining or people and a polite voice on the other end of the front intercom directs us to a place ten minutes walk from there. 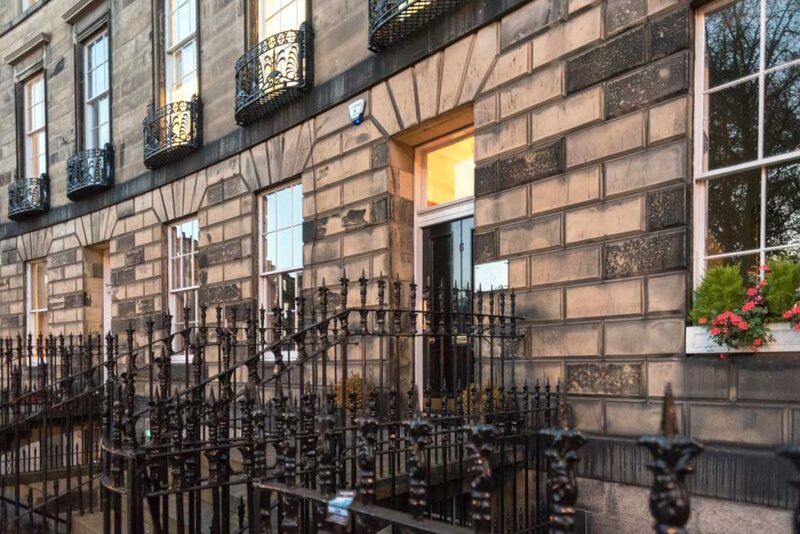 There’s nothing like a brisk walk to get you thirsty and we find ourselves out the front of a place called the Beer Kitchen on Lothian Road, just across from the Lyceum and Usher Hall. It’s modern, warm and inviting. Innis and Gunn kegs are stacked ornately on shelves. Glass cabinets house all sorts of flavors we are yet to experience and a menu of pub grub delicacies ensures this will be where we dine tonight. After ordering a flight of beers to start the proceedings, we choose a duck scotch egg for starters and a vegetarian curry and lamb with Portobello mushrooms respectively. 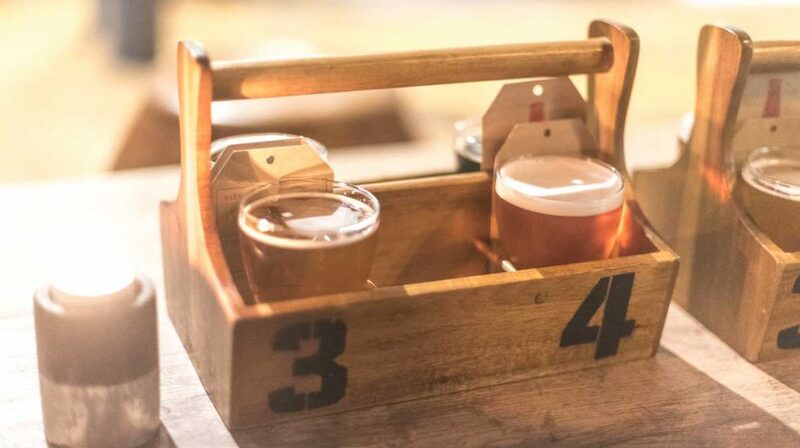 The flight is presented in a milk caddy with the four beers ordered from light to heavy. We start with the lager. Having already had a night out in Edinburgh early this week, we’re already familiar with its fresh, light taste. It goes down easily and wouldn’t be out of place in a hotter climate. The second up is a raspberry barrel saison. Tart, yet sweet would be the best way to describe it, just like raspberries. They sit as more than a hint but aren’t so dominant that it is disagreeable. Third in is the original – the one we first fell in love with. It’s as dependable and strong as ever, weighing in at over 6% ABV. Finally, it’s the Kith and Kin. This beer is dark and heavy. It’s not horrible, but dark beers have never been much to our taste. 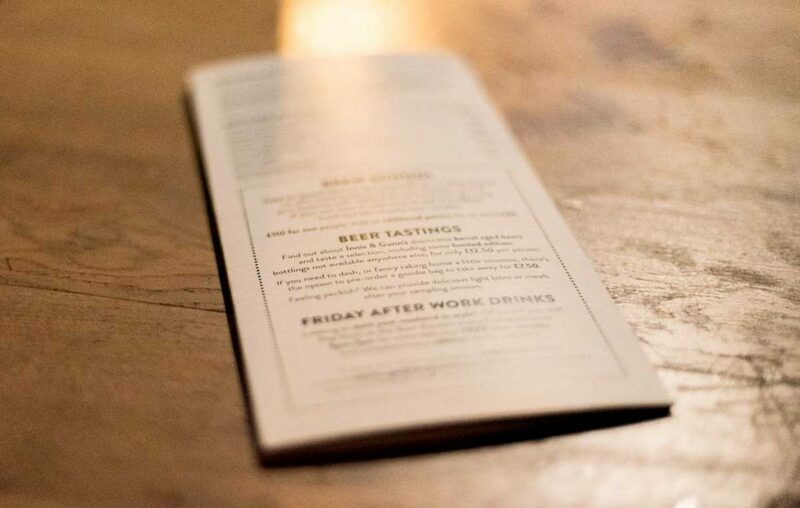 The beers are the perfect accompaniment to our meals. The lamb steak is robust and well cooked, rare with its juices permeating the buttery mushrooms. The vegetarian curry, served with a charred naan bread, is a very full flavor, but there’s just not enough of either main courses – especially as the beer munchies have already kicked in. And whereas the caliber of the food far exceeds your average pub, the real winner tonight is the beer and it hasn’t disappointed. If you want a true beer lover’s experience while in Edinburgh, visit the Innis and Gunn Beer Kitchen (and not their corporate offices like we did). 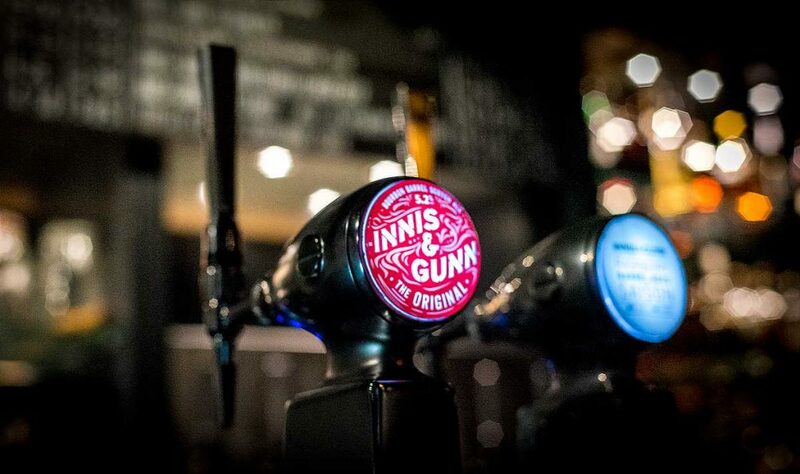 Innis and Gunn Beer Kitchen is a craft brewery meets gastro pub in the heart of Edinburgh’s theater district. 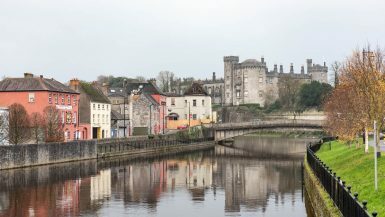 The bar is open from 9am to 1am, Monday to Friday and from 10am to 1am on Saturdays and Sundays.